We hope you enjoy the drive to our farm. We're located less than 5 miles from Interstate 20 and are conveniently located 35 miles east of downtown Atlanta. Once you arrive, get ready for loads of fun! Take Exit#93 off I-20 Hazelbrand Road (Highway 142). Go North on Highway 142 and travel 4.5 miles. Turn right (north) onto Highway 81. Make quick left onto Macedonia Church Road. Mitcham Farm will be 1.3 miles on the right and Colonel Cob's Corn Maze on the left. Travel Highway 81 from US-78 through Walnut Grove and travel 11.8 miles. Turn right onto Macedonia Church Road. 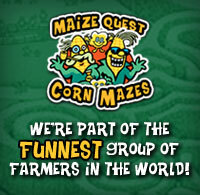 Mitcham Farm will be 1.3 miles on the right and Colonel Cob's Corn Maze on the left. Take Highway 138 to Walnut Grove. At traffic light turn right onto Highway 81. Travel 4.9 miles. Turn right onto Macedonia Church Road. Mitcham Farm will be 1.3 miles on the right and Colonel Cob's Corn Maze on the left. 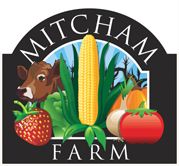 Join our mailing list for the latest Mitcham Farm and Colonel Cob's Corn Maze information including coupons, announcements of special events, or what may be fresh in the market. Add your email below and click the "Join Our List."